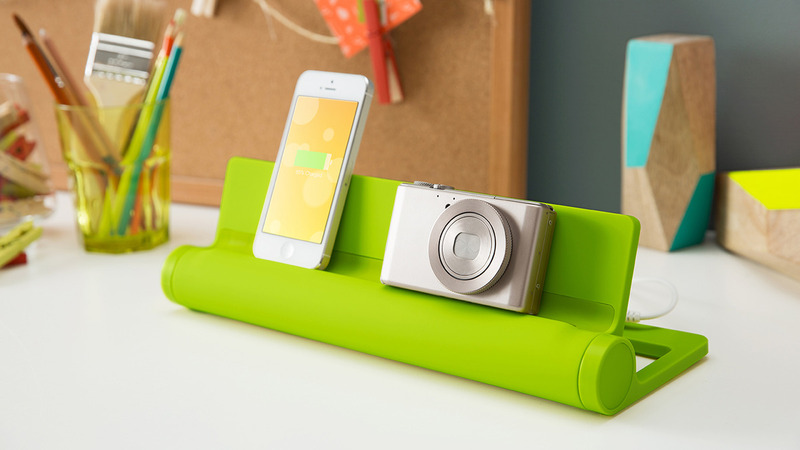 A charging station to keep you organized and...happy? As we start thinking back to school time we’ve got desk organization on our brains. It’s like my annual New Year’s tech resolution, although I always seem to make it (again) in late summer. 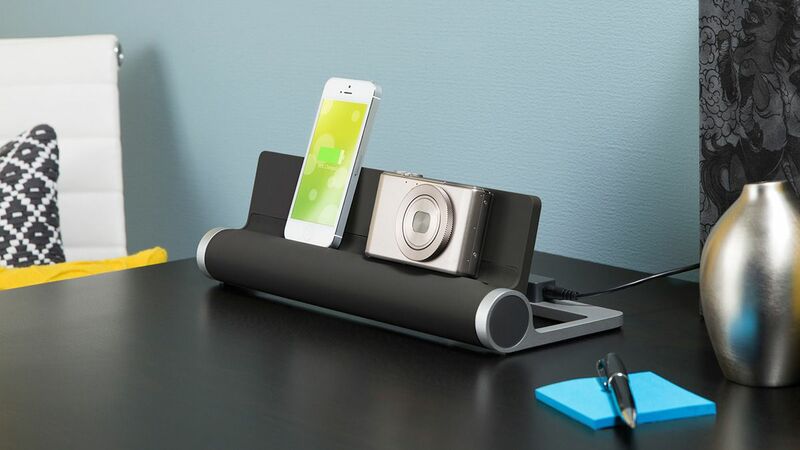 Now that my kids are getting to the age where they’ve got their own gadgets to wrangle, and only one desk to share between them in our smallish apartment, I love this Converge 4-Port USB Charging Station from Quirky at our affiliate Amazon, or at a good price from Directron. 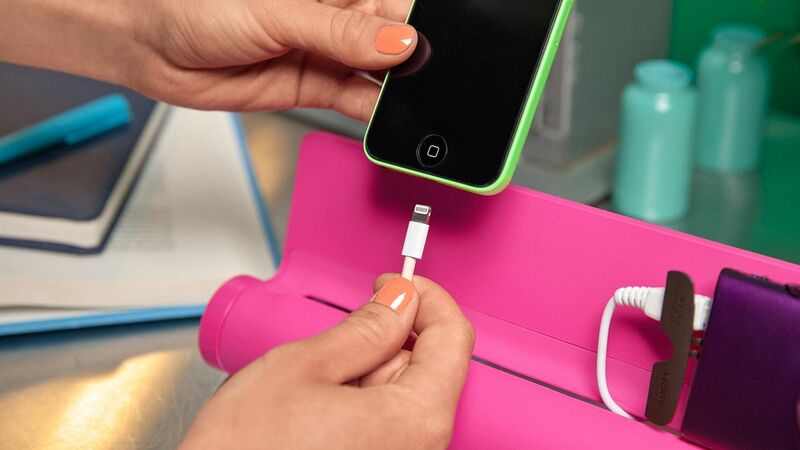 First, I love the whole look – the charging station looks like an old school Scrabble tile rack. It’s smartly designed to tame cords neatly in the back, while charging up to four devices–although honestly we could probably fit two phones on there and maybe a point-and-shoot. It even claims to be able to support an iPad. Or hey, a Galaxy Tab; if it’s got a USB charger, it’s welcome here. The black or white with aluminum accents are perfect for me, but I know my kids would argue about whether to get the pink one or the teal. Aren’t they all gorgeous and fun? Not surprising, considering the color choices were crowdsourced by vote from the Quirky community. The idea of buying pretty new things gets me more excited than stressed for back-to-school shopping. 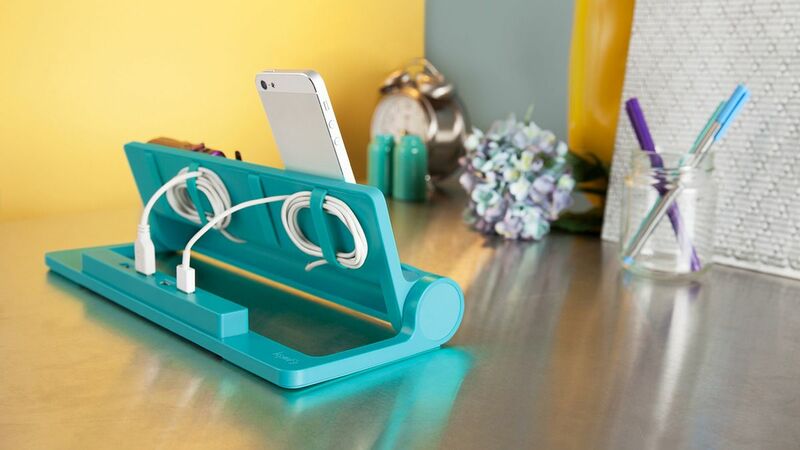 But the notion of keeping our desks organized and those cord nests out of site? Heaven. Find the Converge 4-Port USB Charging Station On Amazon, from Directron, or find them for great prices on eBay.